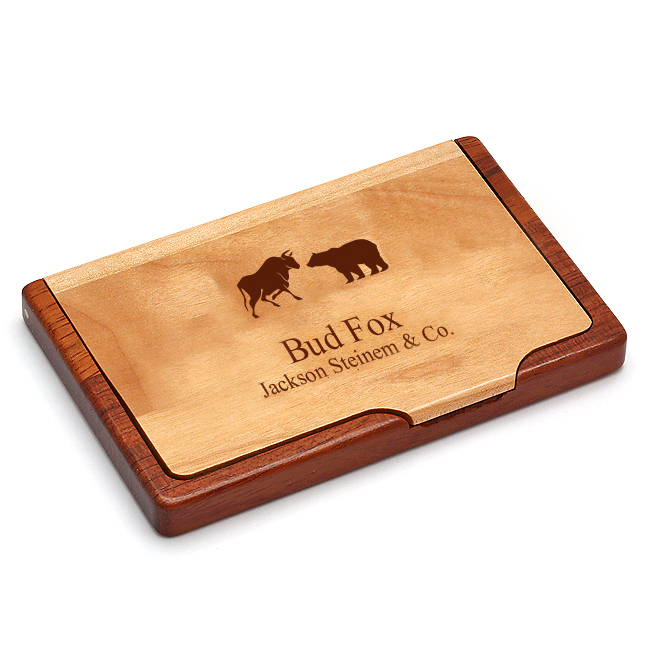 This bull & bear theme wood business card holder can be used in two different ways. 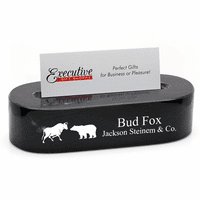 Prop up the back for a stylish desktop business card holders. 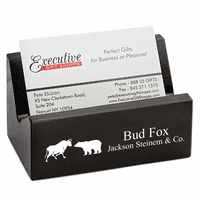 Fold it closed and its perfect as a pocket business card case. Made for financial professionals, it features the symbol of Wall street, a bull and bear duking it out, laser engraved on the front cover. 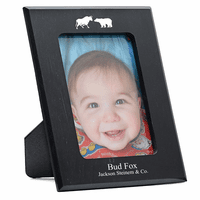 Add your own custom engraving to the right of this for a personalized touch. 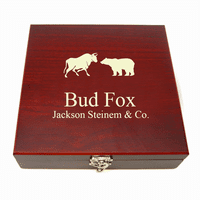 A unique gift for financial types, it comes packaged in a gift box and ships out the day after you order.